Not out yet, but who else is excited???? I do like the apparent new villain. Hopefully it's turns out just as creepy as the usual Kirby final bosses. New Villain? New Villain? Somebody mentioned a new Kirby Villain? Is it an incarnation of a dark matter? Is he a playable character!? Is there a Wii U version!? Sorry. I wasn't trying to be mean. Capitals could mean excited or angry. I wasn't angry. King Dedede is not a villain. Yes and no. Yes, he's playable. But only in a rhythm-based minigame. No, it's a 3DS exclusive. 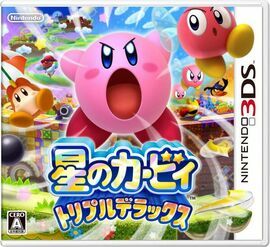 It's called Kirby: Triple Deluxe. That is amazing! Thank you!!! I agree, King Dedede will always be good in my heart. My subscription box will be full of spoilers. *sighs* It's Pokemon all over again. Same! Still one of my favorite games! 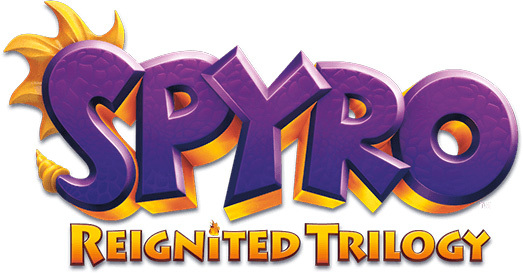 I can't wait until this game comes out! Kirby is my favorite Nintendo series behind Kid Icarus. I need my epic looking bell kirby and also wasn't that kirby right back at ya episode the one when kirby almost died? Disscussion for anyone who wants it. Ahaha, that's almost EVERY episode! I believe he ate a watermelon and "blew up"
Bumping. Triple Deluxe is out in Japan and OH LORD I NEED DIS. I don't know if there's Extra Mode in this but I'm hoping so. It's only 6 worlds. Kind of on the short side. six worlds.... They better be long worlds. They better have like 15 stages each. When is it supposed to be out here? The release date is still listed under TBA 2014. The cutscenes feature more dialogue, even in comparison to Return to Dreamland, so I guess they've got to localize that in addition to everything else. Also, I've learned that there IS an extra mode of sorts. It functions identically to Meta Knightmare Ultra (featuring save rooms that heal you in between levels), but you're playing as King Dedede... so it's King Dededeluxe, I guess. What makes me think it's extra mode is that, like in Return to Dreamland, the bosses get palette swaps, have more health, and have a "DX" on the end of their names like the bosses did in the Japanese Return to Dreamland's extra mode. King DeDedeluxe? That sounds amazing! Hire this man Ninty! Landia, Magolor, and now Daranza. But then there would be no point to most videogames. Unless companies are creative enough to make a new villan every game. Or anyone who poses to be his friend first, like Marx. Here, have some spoiler-free music. It's the first level theme. Yes, that is definitely the first level of a kirby game.